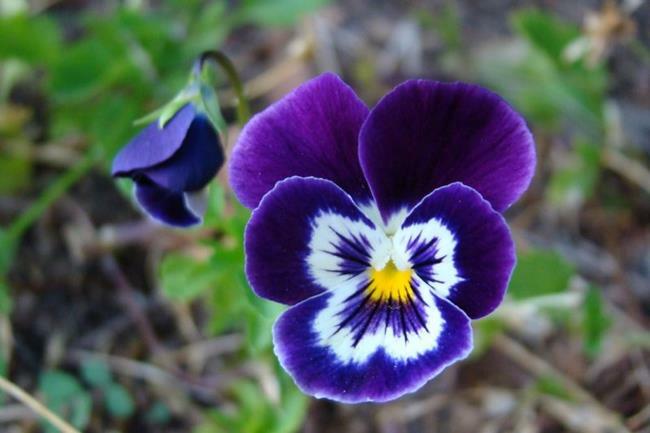 This photograph captures the fine detail and the rich color of a pansy. I just love the deep blue tones of the delicate bud in the background. Pansies display so much character by taking on face-like appearances and they are really fun to have around.